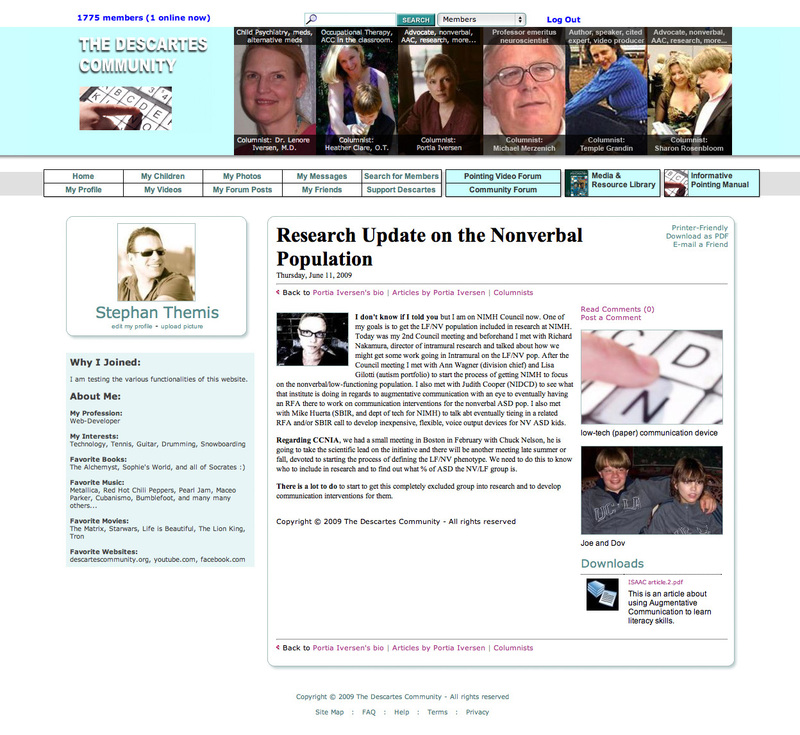 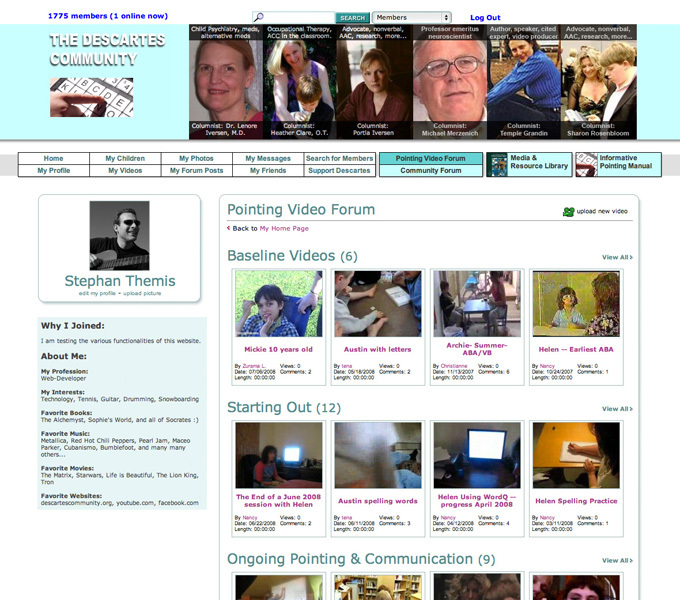 The Descartes Community is an online community for people who want to share information about helping non-verbal and "low-communicating" individuals with autism to communicate better. 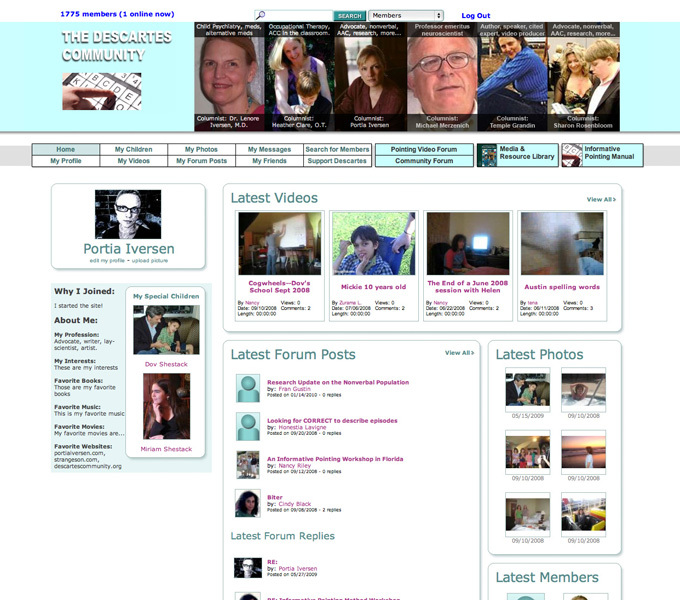 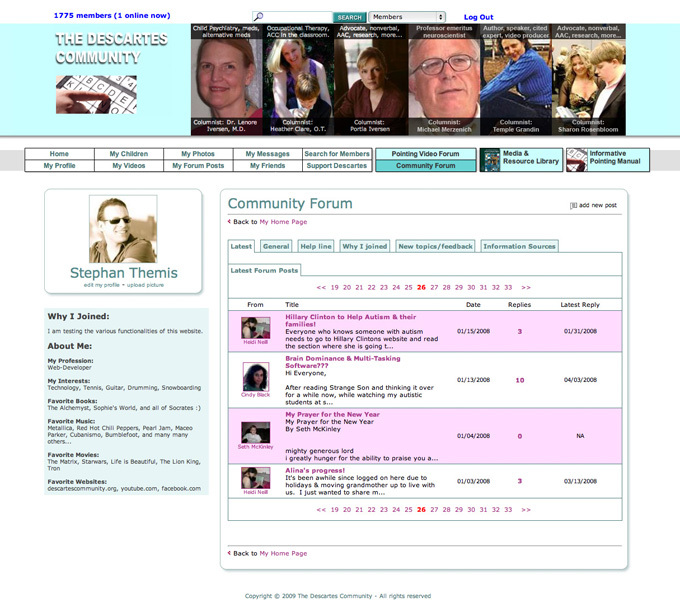 Members can participate in forum discussions, publish videos, share pictures, send messages and connect with others. 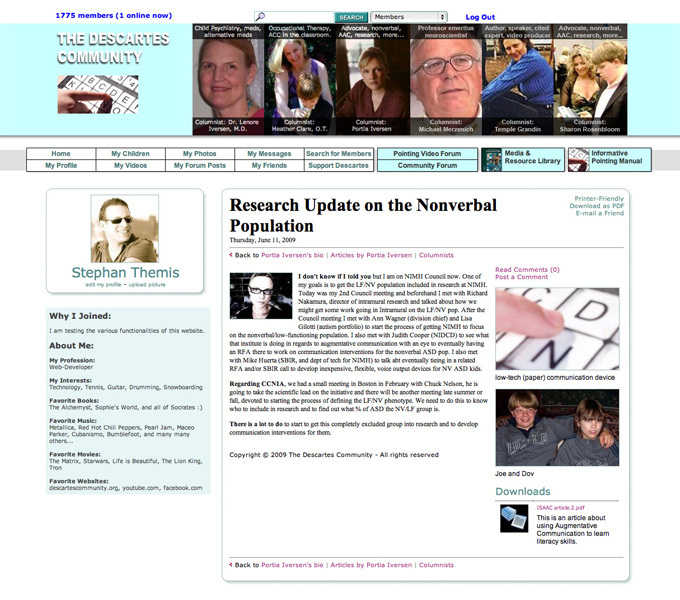 A Columnist area allows contributors to publish articles on various topics, keeping the website constantly updated with new and high-quality content.